Sandblastingabrasives.com offers the full line of both brown and white fused aluminum oxides (corundum) in all ANSI and FEPA gradations. If you require less than 200 lbs total, please order these items online. 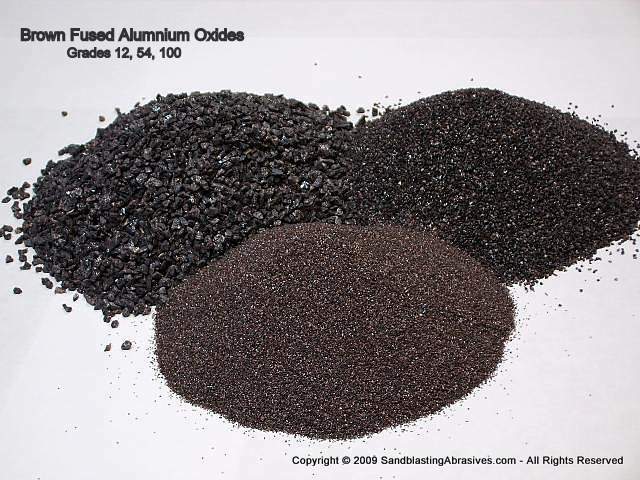 Aluminum oxide is generally used for its hardness and strength, such as for sandpaper, cutoff tools, sandblasting, dermabrasion, etching, flooring, polishing, and metal finishing applications. We also sell a specialty line of highly pure Medical Grade Aluminum Oxides (see below) for the medical industry and cosmetic use. 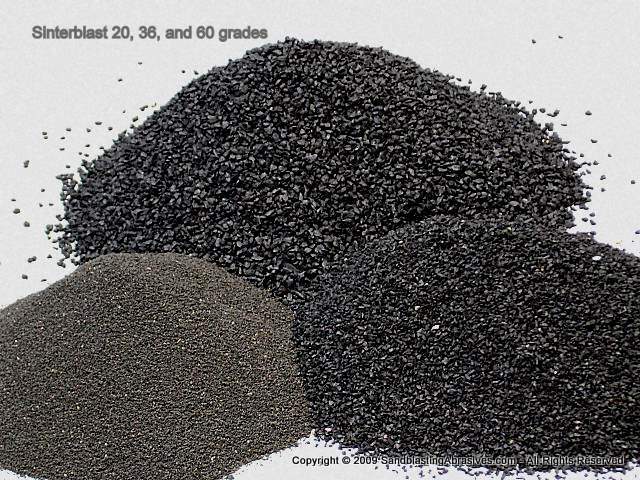 We also offer a sintered aluminum oxide abrasive called Sinterblast, which is much more economical than brown fused aluminum oxide, but has a higher Friability Rating. 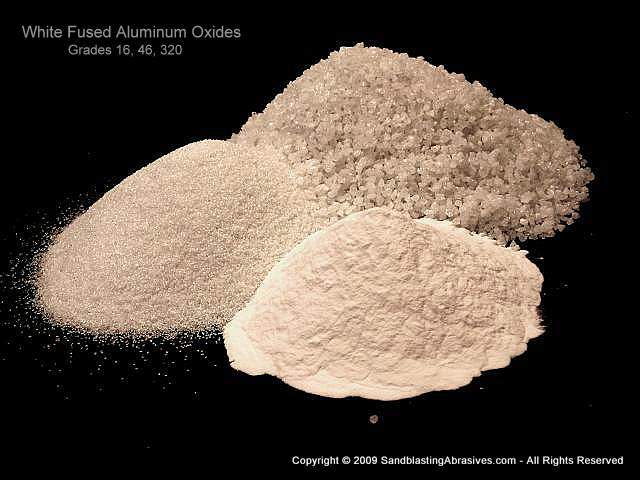 Aluminum Oxides are perfect for powdercoating applications.